Home C# What is C#? Pronounced "see-sharp." A hybrid of C and C++, it is a Microsoft programming language developed to compete with Sun's Java language. 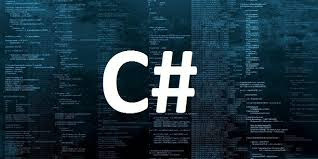 C# is an object-oriented programming language used with XML-based Web services on the .NET platform and designed for improving productivity in the development of Web applications. C# boasts type-safety, garbage collection, simplified type declarations, versioning and scalability support, and other features that make developing solutions faster and easier, especially for COM+ and Web services. Microsoft critics have pointed to the similarities between C# and Java. Around 1997, Microsoft started a project that was internally known as Project Lightning (and also known as Project 42). The name "Project 42" was most likely because DevDiv (the Microsoft Developer Division) is in Building 42, which (as James points out) is probably an homage to The Hitchhiker's Guide to the Galaxy by Douglas Adams. There were several names being considered, one of which was the COM Object Runtime (COR), which is where the name for the mscorlib.dll assembly came from. This is the assembly which contains all of the CLR's main types and is really the only one that must be loaded by every .NET app domain. Speaking of assembly loading, the code name for the CLR Loader is Fusion, which provides the name for the Assembly Log Binding Log Viewer utility - fuslogvw.exe: Fusion Assembly Log Viewer. The codename of C# was Project Cool and was supposedly a "clean-room" implementation of Java. It was later changed to C# based on a musical scale. Just as C++ added the "++" to "C" since it was considered to be "adding to" or "one greater than" C, the sharp (#) on a musical scale means one semi-tone above the note. So, in both cases the name implies one above or higher than the original.